Cell Phones Are Killing Us? I hope this ain't true. And I wonder why the MSM is not bellowing about this claim that the radiation emitted by cell phones will cause more deaths in ten years than are caused by smoking! What a senseless tragedy this was. 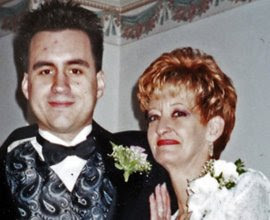 A nice young man, the only child of a woman from South Philly, is beaten up for no reason (and dies at the hospital) by some thugs in the middle of a week day on the Market Street Line train platform. There is no other way to put it - these 4-5 kids should be locked up forever. They have no future anyway. Unfortunately the reality is we can't save everyone in society! And these thugs are evidence I am right. 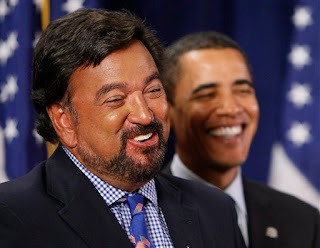 In this pic, Bill Richardson looks more like he is Hawaiian rather then Hispanic. .....I wonder if his affair was with a fat and ugly woman? Why do the Democrats tend to select candidates who are insecure with their own selves? Al Gore was always changing, John Kerry was a stuffy, full of crap phony and now it appears Obama (the Dem frontrunner) has been playing the role of a messianic post-racial prez candidate (whatever that means) while listening for 15 years to his black mentor berate America as evil incarnate. It's like the Dems are too clever for their own good- they can't seem to go for authenticity! Why is that? Perhaps because the party is powered by many, many trial lawyers, grievance mongers, union leaders and far left think tanks? Yeah that is why IMHO. Just had to say that because I have had a frigging great day! Heather mills says she is happy with her $50MM divorce settlement. The no-talent celebrity groupie sure oughta be happy. Because there is no way she could make that money on her own. Also, why the frig is this Top News on Yahoo! and why the frig am I blogging about this anyway? Why doesn't the media pound Hillary to release her tax return for 2006? Obama has released his way long ago! Why does she get a pass? I am watching Meet The Press and a Hillary supporter,Rep. Nita Lowey, is dancing around this issue! I can always tell a Dem - they rarely answer a question with a simple Yes or No. And BTW, I am voting for Hillary in the PA primary; just changed my registration to DEM so I can help to screw up their primary results. ......or just plain arrogant to vote in two cities at the same time. Click on the post title to see a post I did in 2006 about what Geraldine Ferraro said after she got caught voting from her vacation home town as well as her primary residence. This is interesting...a convicted felon, the Doctor Death, will run for a seat in Congress. I thought the standard protocol for our elected officials was get elected first then get convicted of a crime. Althouse has been my favorite favorite blog for maybe 2-3 years. However, this post about hidden racism in a Hillary ad, was a ginormous stretch. As they say, she jumped the shark.